HST TRANSMISSION ON 15 SERIES MODELS: 3015H, 3515H & 4015H HYDRO MAX: Branson’s new HYDRO-MAX transmission is standard on all 15 series HST models. With HYDRO-MAX you no longer have to pre-set an engine throttle position The engine rpm automatically increases or decreases as you move the forward/reverse foot pedals. HYDRO MAX is quiet, smooth and easy…perfect for loader applications! 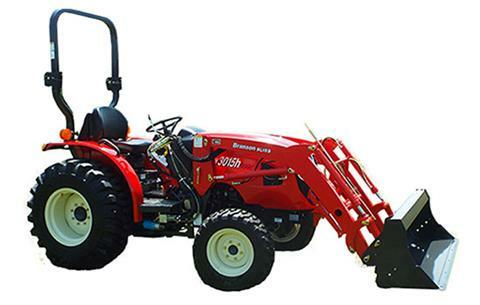 Also just right for mowing, roto-tilling, or other PTP applications, as you have complete control of engine rpm and ground speed. “Cruise Control” is also a standard feature. 1) Maximum transmission torque 2) Maximum efficiency 3) Maximum reliability. HYDRO MAX is eco-smart and very quiet. Test drive a HYDRO-MAX to feel the difference!